Cybernetics Technology is here to give you a website that your customers can take seriously. We all know that first impressions are everything. Do not lose a potential client due to the design of your website. We all know that a majority of people are visual beings and if you don’t have a product that represents your best self for your OWN company, why then would they trust you to provide ANYTHING to them? Contact us today. Don’t let another potential client pass you by. Who couldn’t stand to earn a little extra money right now? With the holidays coming, up do you really want to kill yourself with overtime and spend even MORE time away fro your family? You do not have to. Trust us. What you can do however is tell a friend or two about Cybernetics Technology and from doing so, once they are signed up, earn referral income. It is as simple as that. You will be qualified as owner of an IT company and you will have your own clients of which you will manage. All the other stuff however? You leave that to us. We will update you regularly on your clients process which leaves you in control and in the know at all times. 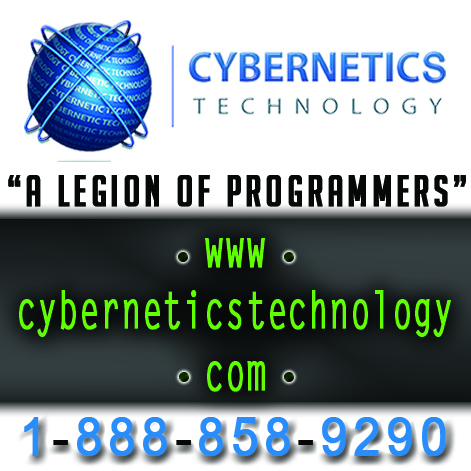 Contact us today at 1-888-858-9290 and check out our website: http://www.cyberneticstechnology.com and enroll today!